Thanks! I just wrapped up cutting the final pieces to fill in the area in front of the gate. I hope to complete the next phase of cutting this weekend. 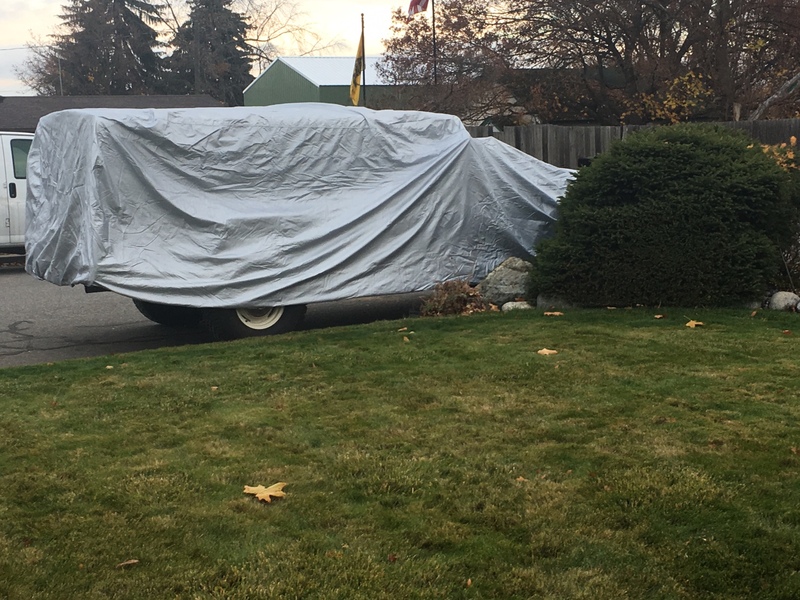 Meanwhile, I had to do the unthinkable and leave Leroy outside while I wrap up the details of the mega cab project, but I did pony up to buy a car cover- one meant for a suburban! Had to swap out the ignition switch today. Couldn’t find an aftermarket one that fit in the local area, so I had to dig in my stash o’ spare pieces. Sweet! I kept a dash, key, and ignition switch from a 69 parts truck I had. It might make it into my truck if I swap to a Kaiser dash. twisted frame wrote: Sweet! I kept a dash, key, and ignition switch from a 69 parts truck I had. 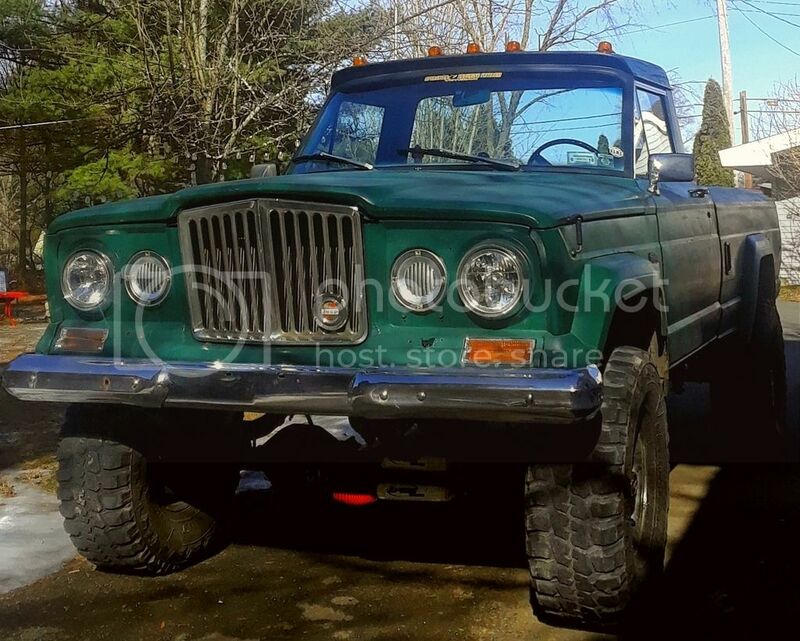 It might make it into my truck if I swap to a Kaiser dash. I geek out on that kind of stuff! Haha. 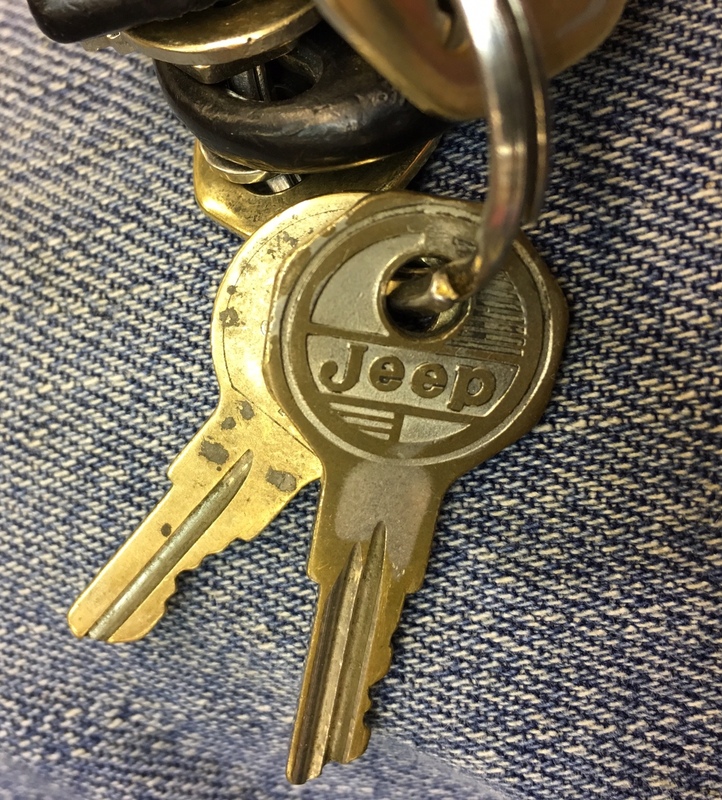 I bought an NOS key blank from eBay years ago and had planned on buying a new ignition cylinder and having the blank made to fit if my current set up gave up on me, but since I had this spare and didn’t want any additional down time, I just used what I had on hand. When I get some spare time, I’ll figure and where I can source a new switch that fits into the stock location- one of these days. I’ve heard you can swap out just the key cylinders, and retain the older key, but I’ve never done that. I did keep the non-op ignition cyl. just in case I ever figure out how to do the swap. I bought two complete sets of Alcoa Steelies for the 8 lug axles under her- then welded on tabs to fit the stock 60’s era dog dish caps. They were at an estate sale north of Spokane. I like they way they turned out, it gives it a sleeper look- not like she’s a 3/4 behemoth. No, I have a set of those J20 I used to have on It. 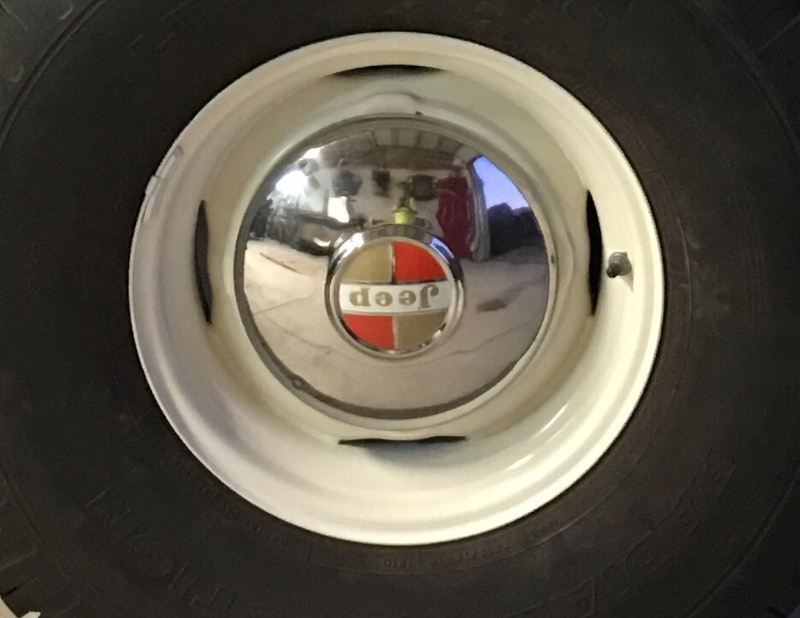 You can see the hubcaps do not actually fit over the hubcap ring as a stock cap should. I welded hubcap tabs onto the rim so I could run the standard 15” dog dish cap on the larger rims. If you’ve ever seen the older Willy’s truck rims, you may have seen the rims that had the tabs on them to run hubcaps. I did something like that to the 16” 8 lug steel rims. Hahaha, gotcha. A pic is worth a 1,000 words!